Jake Whisler has been hired by the Bellingham Bells as an assistant coach, the team announced today. The Black Friday Deals are out, and now is your chance to save big on Bellingham Bells tickets! The Bellingham Bells are excited to announce the hiring of a new front office staff member. The Bellingham Bells are excited to announce the release of their 2016 West Coast League schedule. The Bells will play a total of 56 games this summer, 29 of which will be at home. The Bells home opener will be on Tuesday, June 7, the beginning of a three-game series with the Bells’ 2014 West Coast League championship series opponent, the Corvallis Knights. The home opener will feature the popular $2 Tuesday promotion and other special promotions to be announced at a later date. · Monday-Saturday home games beginning at 7:05 p.m.
· Sunday afternoon home games (with the exception of July 3) beginning at 3:05 p.m. The Bells’ schedule begins and ends with their 2015 West Coast League Division Playoff opponent, the Kelowna Falcons, and also features a home series versus the 2015 West Coast League champion Bend Elks. New for the 2016 season, the WCL has realigned to a two-division structure, with a north and a south division. This realignment will help accentuate longtime rivalries, while allowing players and fans to have greater exposure to the markets and teams that comprise the WCL. Bellingham will play in the north division, alongside two Canadian teams, the Kelowna Falcons and the Victoria HarbourCats. 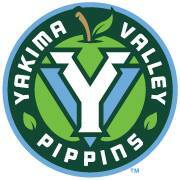 The Wenatchee AppleSox and Walla Walla Sweets will also be part of the new five-team north division. The south division will consist of the Bend Elks, Corvallis Knights, Cowlitz Black Bears, Kitsap BlueJackets, Yakima Valley Pippins and the newest WCL franchise team in Gresham, Ore.
Additionally, the board of directors has decided to move to a split-season format to determine playoff participants. Each division will qualify two teams for the four-team playoff and qualification will be based on which team has the best schedule for the first and second half of the season. The Bells are finalizing the 2016 promotional schedule, which will be available at a later date. For more information about the 2016 schedule, visit www.bellinghambells.com or call (360) 527-1035. The Bellingham Bells have promoted Mike Gange to the role of head coach, the team announced today. Gange previously served as an assistant coach for the Bells during the 2014 and 2015 seasons. Jeff James, who has managed the Bells for the past two seasons, has informed the team that he will not return for summer 2016. Nine Bellingham Bells were named to 2015 All-West Coast League teams, WCL president Dennis Koho announced today. Thursday night’s game three of the West Coast League divisional playoff series was a hard fought battle between the Bells and the Kelowna Falcons. For the first time in Bellingham Bells history the Bells were held scoreless in a postseason game, dropping game two of the Divisional round of the playoffs to the Kelowna Falcons 6-0. Game one of the divisional playoff round on Tuesday evening between the Bellingham Bells and Kelowna Falcons was marked by a pitcher’s duel and a 2-1 Bells win. Nine innings was not enough to decide the final game of the regular season. The Bellingham Bells (33-21) came back from a 4-0 deficit to tie the Victoria HarbourCats (29-24) only to fall 6-4 in 10 innings. The Bellingham Bells are pleased to announce that Bellingham will host a playoff game at Joe Martin Field on Tuesday, August 11th at 7:05 p.m. Tickets are now on sale. Saturday night at Joe Martin Field, the Victoria HarbourCats (28-24) saw their postseason hopes come to an end with a 4-3 Bellingham Bells (33-20) win. Two big innings doomed the Bellingham Bells (32-20) Friday night at Joe Martin Field as Victoria HarbourCats hitters put up a barrage of 13 hits that lead to nine runs and a 9-2 Bells defeat. On the last regular season road game of the year the Bellingham Bells (32-19) held off a late push from the Cowlitz Black Bears (19-32) to win 11-8. Bells’ bats came alive on Wednesday night, snapping the only three game losing streak of the season at David Story Field with a 6-3 win over the Cowlitz Black Bears (19-31). Bellingham Bells (30-19) hitters struggled to find their groove on Tuesday night, managing just one run in a 3-1 loss to the Cowlitz Black Bears (19-30). Bellingham Bells’ (30-17) bats were kept silent Saturday night by Kelwona Falcons' (29-17) pitching, in an 8-1 loss. In a potential playoff preview, the Bellingham Bells (30-16) took the first game of the series against fellow first place team, the Kelowna Falcons (28-17). After a near miss in game one of the series, the Bellingham Bells (29-16) rebounded to do something they have never done in franchise history: sweep the Bend Elks (31-13) in a double header. In a highly anticipated game between the West Coast League’s best team, the Bend Elks (31-11), and the Western Division leading Bellingham Bells (27-16), it was the Elks who took game one, 6-5. Reagan Todd flirted with a no hitter into the seventh inning Sunday night at Harry and David Field and was backed up by a Bellingham Bells (27-15) offense that was equally as impressive in a 9-4 win. The Medford Rogues took game two from the Bellingham Bells Saturday night with an avalanche of offense, as Bells' pitching faltered for the second straight night in a 19-11 loss. Bellingham Bells hitters rattled off 10 hits on night one in Medford to begin a six game road trip, but despite the hits just plated just four runs and fell to the Medford Rogues 11-4. In six straight games against the Victoria HarbourCats (18-21), the Bellingham Bells have been played tough but managed to outlast HarbourCat pitching for a 5-1 mark in that span. Thursday night at Joe Martin Field was no different, as the Bells managed a 2-0 win turned in largely by the pitching. One big inning doomed the Bellingham Bells (25-13) Wednesday Night at Joe Martin Field as the Victoria HarbourCats (18-20) pushed three runs across in the third inning on their way to a 4-1 win. The Bellingham Bells (25-12) returned to league action Tuesday night against the Victoria HarbourCats (17-20) and slugged their way to a 7-4 win. Bellingham Bells’ (24-12) hitters continued to hit at Royal Athletic Park, slugging two more home runs off of Victoria HarbourCats (17-19) pitching to complete the sweep with a 6-2 win Saturday afternoon. It took over four hours before the Bellingham Bells (23-12) took game one against the Victoria HarbourCats (17-18) on night one and it took nearly four hours to come out on top 6-5 in game two on Friday night at Royal Athletic Park. Chase Scott homered in the second inning to begin the scoring for the Bellingham Bells (22-12), and added his second home run of the night in the ninth in a wild 8-7 win over the Victoria HarbourCats (17-17). It was another night where the offense struggled for the Bellingham Bells (21-12) as the Cowlitz Black Bears (15-18) pitched well from beginning to end, coming back into the game in the seventh inning and winning it in the 11th. For seven innings the Bellingham Bells (21-11) failed to plate a run against the Cowlitz Black Bears (14-18) but came storming back in the eighth inning to win the game 4-2. One-hit was all it took for the Cowlitz Black Bears (14-17) to sink the Bellingham Bells (20-11) Monday night at David Story Field. The one hit was a solo home run by Lorin Archibald in the bottom of the fourth that gave the Black Bears the 1-0 win. Six players will represent the Bellingham Bells at the 2015 West Coast League All Star Game, which will be hosted by the Bellingham Bells at Joe Martin Field on Monday, July 20th. The Bellingham Bells are excited to announce that future Seattle Mariner Hall of Famer Jamie Moyer & Seattle Mariners’ director of amateur scouting Tom McNamara will be in attendance for the 2015 West Coast League All-Star Game, held at Joe Martin Field in Bellingham. Moyer had an incredibly successful 25 year career (spanning four decades) in the big leagues playing for eight different teams. He had an 11 year run with the Seattle Mariners and he will be inducted into the club’s Hall of Fame later this summer; he still leads the franchise with most career wins (145). Jamie also won a world series with the Philadelphia Phillies in 2008. After retiring in 2011, Moyer and his wife Karen have devoted their time to The Moyer Foundation, which supports programs that directly serve the critical needs of children in distress. Moyer will be joined by Tom McNamara of the Seattle Mariners. McNamara was named director of amateur scouting for the Seattle Mariners in 2008 after 15 years as a professional scout and oversees all levels of amateur scouting for the Mariners, as well as the annual MLB June Amateur Draft. McNamara played one season in the Seattle Mariners organization, in Bellingham for the Bellingham Mariners. The All-Star Game will feature a competition of the North squad—made up of players from host team Bellingham, Kelowna, Victoria, Walla Walla, Wenatchee and Yakima—will be managed by Jeff James, head coach of the 2014 West Coast League champion Bellingham Bells. The South team—comprised of players from Bend, Cowlitz, Corvallis, Kitsap, Klamath Falls and Medford—will be coached by Corvallis Knights’ manager Brooke Knight. Festivities on Monday, July 20th will begin with a Home Run Derby derby starting at 5:30 p.m. First pitch for the All-Star Game will take place at 7:05 p.m. Gates will open to the general public at 4:30 p.m. and the first 1,000 fans through the gate will receive an All-Star Game logo baseball, presented by John Howie Restaurants. The game will be followed by a post-game awards ceremony and a fireworks show (provided local burn bans are lifted). For two games, the San Francisco Seals came to Joe Martin Field and Bellingham Bells' pitching did not allow a run in those two games. On Saturday night, the Bells' fifth shutout of the year and second in a row gave the Bells a 3-0 win. A four run second inning was all the Bells needed Friday night at Joe Martin Field to beat the San Francisco Seals, 4-0. The longest active winning streak in the West Coast League came to an end Wednesday night at Joe Martin Field. The Bellingham Bells (20-10) failed to plate any runs after the second inning and fell to the Cowlitz Black Bears (11-16), 4-2. Nine innings was not long enough for the Bellingham Bells (20-9) or the Cowlitz Black Bears (10-16) to push across a run in a pitcher’s duel Tuesday night at Joe Martin Field. When all was said and done, it took 10 innings to bring in a run, ending in the Bells' favor, 1-0. A big first inning for the Bellingham Bells (19-9) was all they would need Monday night at Joe Martin Field to beat the Cowlitz Black Bears (10-14) 5-2. Sunday night was the ninth and final time the Bellingham Bells (18-9) played the Kitsap BlueJackets (10-14). Nine innings would not be enough, as the marathon lasted 12 innings and was dominated by pitching until Chase Scott crushed a two run homer to left for a 4-2 Bells win. The next 14 games for the Bells will go a long way in determining the winner of the Western Division. Friday night begins a stretch of 15 consecutive games against divisional opponents and the Bells began the stretch with a 4-1 win at Gene Lobe Field. Saturday night was a back and forth battle between the Bellingham Bells (17-9) and Kitsap BlueJackets (10-13) that ended in a 3-2 Bells win. In the most complete win of the season for the Bellingham Bells (15-9), Bells hitters clobbered Yakima Valley Pippins pitching for 10 runs, in Thursday night’s 10-1 win. For eight innings on Wednesday night at Joe Martin Field, the Bells (14-9) were in complete control, leading 3-0 against the Pippins (14-9). After a ninth inning that tied the game at 3, Chase Scott slugged a no doubt two-run homer over the left field wall to give the Bellingham Bells a 5-3 10 inning win over the Yakima Valley Pippins. Walker Olis collected his 15th double since joining the Bells in 2013, breaking the Bells all-time team record but it would not be enough, as a big four run fourth inning by the Yakima Valley Pippins (14-8) would hold off the Bellingham Bells (13-9) Tuesday night at Joe Martin Field. In accordance with the Whatcom County Complete Burn Ban that was put into effect yesterday at 12 p.m., the Bells’ post-game fireworks show planned for Thursday, July 2 has been officially cancelled. Pitching dominated in the series finale Sunday afternoon between the Kitsap BlueJackets (9-9) and the Bellingham Bells (13-8). Both starters did not allow a runner to reach until the fourth inning, but the Bells outlasted the BlueJackets in 10 innings, winning 2-1. For a brief moment in Saturday nights game at Joe Martin Field, many were thinking “no-hitter.” Bells Starter Reagan Todd and the BlueJackets' Adam Cline both set down the first nine batters, they faced but the BlueJackets would ride a four run fifth inning to a 5-0 win. A pitcher’s duel and two home runs was the story Friday night at Joe Martin Field. In what was a game marked by home runs in big spots, it was Bells' pitching that made the difference in a 4-2 win over the Kitsap BlueJackets. Another big first inning for the Bells was not enough Wednesday night at Elks stadium. The Falcons beat the Bells 6-4 to take the series and hand the Bells their first series loss of the year. What a difference a day makes. On Monday night in Kelowna, the Bells committed seven errors and dealt with a lack of available pitching. On Tuesday night in Kelowna, the Bells received a stand out performance from starter Andrew Kemmerer and stout defense that did not commit an error in a 9-4 win. On a rainy night north of the border, the Bells fell flat in a 13-9 loss to the Kelowna Falcons. It was the first time that the Bells have dropped a series opener this season. 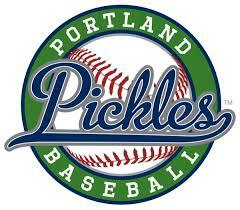 On a picture perfect Father’s Day at Joe Martin Field the Bells fell to the Wenatchee AppleSox 5-1. Despite the loss, the Bells took the series from the AppleSox and completed the homestand with a 4-2 mark. The Bells came from behind in walk-off fashion on Saturday night, with a thrilling 5-4 win over the Wenatchee AppleSox. Friday night at Joe Martin Field was a night of celebration. It was the first “Championship Friday” with the Bells wearing black hats with gold lettering to mark their 2014 West Coast League Championship. After wet conditions forced a called game in the fifth inning, the Bells took the series finale with the Walla Walla Sweets on Thursday night. The 1-0 victory was considered an official game. On Wednesday night at Joe Martin Field, the Bells played from behind for most of the night, but never gave up the fight, eventually falling 5-3 to the Walla Walla Sweets. The setting was just right Tuesday night at Joe Martin Field. Clear skies and a capacity crowd were on hand for Jesse Kuet to make his debut with a Bells team that is red hot. The script was flipped Sunday at Kiger Stadium with the Bells using two big innings to sink the Gems, 9-6. On Saturday night at Kiger Stadium, the Bells gave the Klamath Falls Gems two big innings early on and mounted comeback after comeback that fell just short in a 7-5 loss. After a strong night of pitching and even stronger performance from the Bells' bats, the Bells posted a dominant 8-0 shutout win over the Klamath Falls Gems on Friday, improving to 5-2 on the season. The Bells for the second straight series to begin the season had a chance to sweep, but for the second straight time they failed to record the knockout blow. The Bells came racing out of the gate Wednesday night at Goss Stadium, putting five runs on the board in the first two innings and held on from there. In a rematch of last season’s West Coast League Championship series on Tuesday evening in Corvallis, the Bells shut out the Corvallis Knights in a 4-0 series opener. After an 11-2 offensive explosion a night ago the Bells ran into a well-pitched game at Joe Martin Field Sunday afternoon. It was another Bells win Saturday night at Joe Martin Field, but in a far less competitive game. Before a packed house at Joe Martin Stadium the Bells held off the Kitsap BlueJackets for a 4-3 win. The Bellingham Bells have completed the 2015 roster with the addition of 11 ten-day contract players. The ten-day player class consists of eight pitchers, a catcher and two infielders. The Bellingham Bells have added three players to the 2015 roster, the team announced today. UCLA commit Justin Hooper, University of Maine’s Jake Marks and Southern Mississippi’s Chase Scott will join the Bells during summer 2015. Single game tickets for the 2015 Bellingham Bells Season are officially on sale, the team announced today. Tickets are also on sale for the 2015 West Coast League All-Star Game, presented by John Howie Restaurants, which will take place on July 20, 2015. Bells baseball returns to Bellingham in 2015 with momentum, after claiming the franchise's first West Coast League championship in 2014. In his first season with the Bells, manager Jeff James led his squad to the championship in what was a thrilling summer of baseball at Joe Martin Field. “It was a special group of guys who worked incredibly hard,” James said. The Bellingham Bells are excited to announce two new weekly promotions for the upcoming season. The Bellingham Bells are excited to announce the return of several popular weekday promotions for the 2015 season. The Bellingham Bells are excited to announce two additions to the 2015 pitching staff. Justin Calomeni and Spencer Howard, both right-handed pitchers for Cal Poly, will join the team in summer 2015. 2014 Bell Colby Woodmansee has been named to the watch list for the Brooks Wallace Shortstop of the Year award, a prestigious annual award given to the country's best shortstop. The Bellingham Bells have partnered with Smith Kia to present a bobblehead giveaway on Saturday, August 1, 2015. The Bellingham Bells are excited to announce they have partnered with Sound Beverage to present a commemorative championship ring figurine giveaway on Friday, June 19. 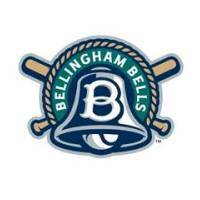 The Bellingham Bells are currently accepting applications for host families for the 2015 season. The Bells have added three players to the 2015 roster with the additions of pitcher Cody Anderson, catcher Ben Koerner and infielder Jordan Schlehuber, the team announced today. The Bellingham Bells are excited to announce they will host the 2015 West Coast League All-Star Game on Monday, July 20 at Joe Martin Field in Bellingham, Wash. The All-Star Game will be presented by award winning John Howie Restaurants: John Howie Steak, Seastar Restaurant & Raw Bar and Sport Restaurant & Bar. The Bellingham Bells are excited to announce the addition of Bellevue College catcher Alex Galgano and Washington State University infielder Patrick McGrath to the 2015 roster. After two complete games, one being a shutout, 2014 Bells pitcher Dan Ludwig was honored on Monday with conference player of the week honors from the Ohio Valley Conference. The Bellingham Bells are excited to announce that Brigham Young University’s Bronson Larsen and Cole Wilstead will join the Bells during summer 2015. The Bellingham Bells have recently hired Erik Oas to be the voice of the Bells for the 2015 season. Oas will give the play-by-play commentary for all 57 games during the summer. The Bellingham Bells are excited to announce the addition of two pitchers to the 2015 roster, as UCLA commit Jon Olsen and Cal’s Jordan Talbot will join the Bells pitching staff this summer. Two pitchers have been added to the Bellingham Bells pitching staff for summer 2015, the team announced today. San Francisco’s Louis Raymond and Cal Poly’s Kyle Smith will both join the Bells during summer 2015. The Bellingham Bells will add two Washington Huskies to the 2015 roster, the team announced today. Outfielder K.J. Brady and left-handed pitcher Channing Nesbitt will join the Bells during summer 2015. The Bellingham Bells will add two Gonzaga University players to the 2015 roster, the team announced today. Pitcher Justin Blatner and catcher Joey Harris will join returning Bell Dustin Breshears on the Bells roster for summer 2015. The Bells will add two Stanford University infielders to the 2015 roster, the team announced today. Infielders Beau Branton and Jesse Kuet will join returning Bells pitcher Andrew Summerville on the Bells roster for summer 2015. The Bellingham Bells are excited to announce the addition of two Arizona State University players to the 2015 roster, as Grant Schneider and Reagan Todd will join the Bells pitching staff. 2014 Bells pitcher and current Pacific Lutheran University closer A.J. Konopaski was recently named to D3baseball.com's preseason All-America First Team for NCAA Division III baseball. Two players from the University of Maine will join returning Maine outfielder Lou Della Fera on the 2015 Bellingham Bells roster, the team announced today. 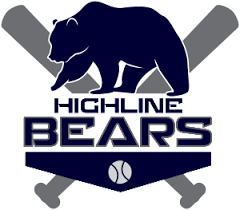 The Bellingham Bells are pleased to announce the addition of three players from Chico State University to the 2015 roster. The Bellingham Bells will add two games to the 2015 season, the team announced today. In a move that adds significant depth and experience to the outfield for summer 2015, the Bellingham Bells have announced the return of two outfielders, as Pacific University’s Walker Olis and Liberty University’s Aaron Stroosma will return to the outfield for the Bells in 2015. Two pitchers from the 2014 Bellingham Bells roster will return for the 2015 season, the team announced today. The Bells will return two left-handers to the pitching staff in Central Washington University’s Zach Johnson and Stanford University’s Andrew Summerville. The Bellingham Bells are proud to have made the Bellingham Herald's list of "Top Ten Sports Moments of Whatcom County" for 2014. The Bellingham Bells are excited to announce the release of their 2015 West Coast League schedule. The Bells will play a total of 54 games this summer, 27 of which will be at home. The Bellingham Bells are pleased to announce the return of two Bellingham Bells from the 2014 roster.